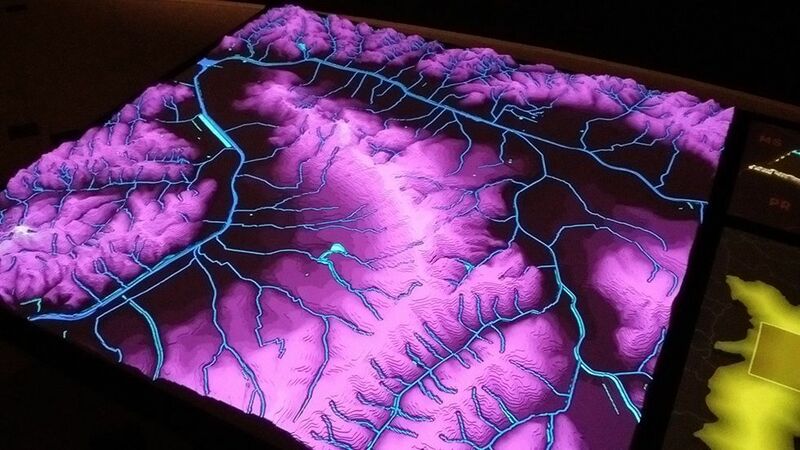 Webcore Interactive, in partnership with Estúdio Laborg and the Iniciativa Rios e Ruas (Rivers and Streets Initiative), has developed the electronic model of the project Un.Covered Rivers, which presented to the public the extensive drainage basin of the city of São Paulo – almost entirely hidden and covered by streets and avenues – through an interactive model. 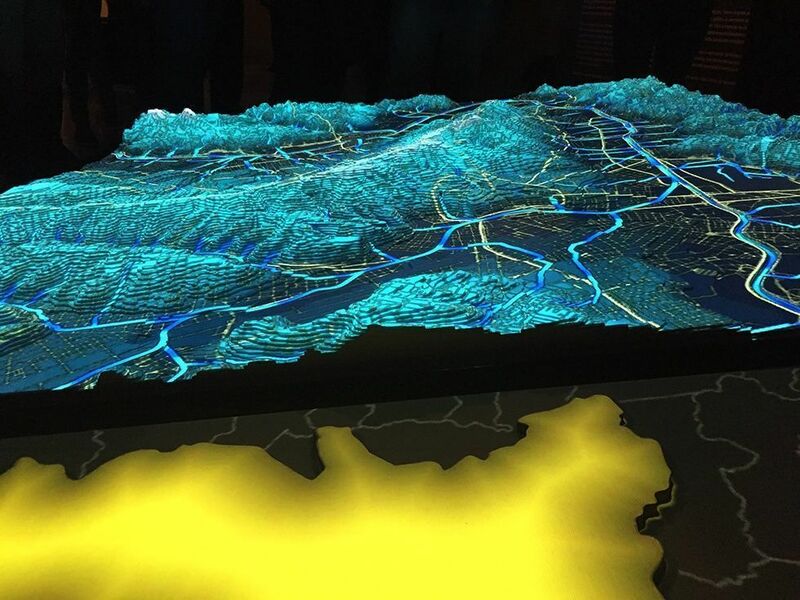 The model featured an interactive mapped projection and it was structured in informative layers (among them, the city’s rivers and bodies of water, the sub and micro basins, parks and squares with bodies of water, and the conurbation of São Paulo). 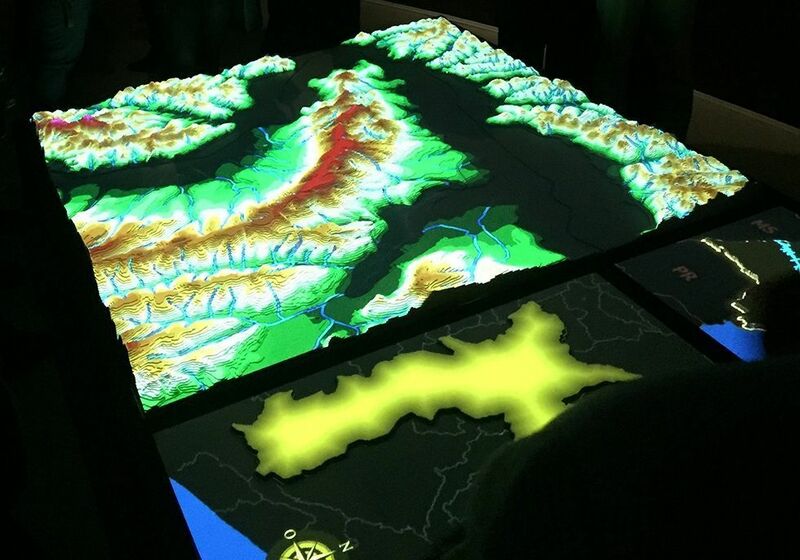 It offered the sensorial experience as a playful tool to instigate visitors, giving them autonomy in acquiring knowledge and freedom of choice of what they want to discover. The public could navigate the installation in different ways: discovering the waterways in the city of São Paulo, comparing the rivers that remain in the open with all those which run underground, identifying the consequences of this concealment of water courses, knowing the history of the rivers’ corrections, and seeing the actions that are already in progress for the rediscovery of these rivers.